I love Sundays. Fellowshipping with believers in God's house. The sound of so many voices lifting worship and praise. 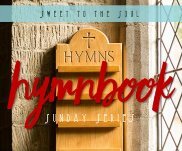 And #SundayHymnBook. I love reading all of your comments about how your lives were touched by these beautiful old hymns and being invited into your memories of grand-parents and family. Today's song, however, may be one you've never heard, but one that everyone needs to hear. Especially in light of so much that is happening in our world. So I would love for you to share today's song with someone. 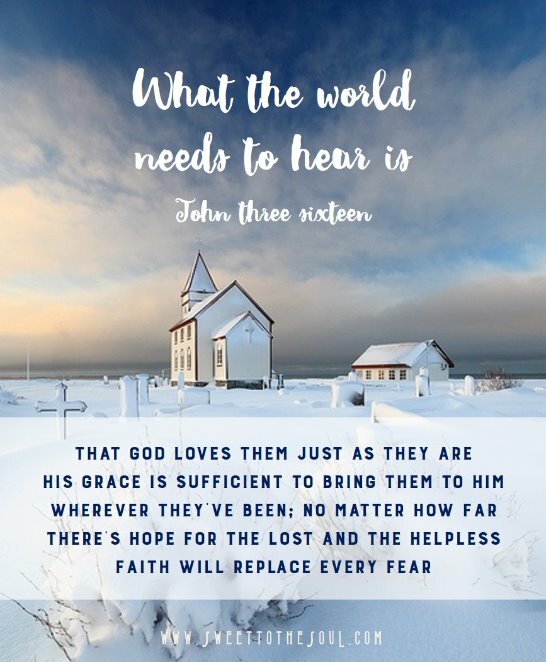 Share the link to the blog, or share the lyrics, or follow the suggestion of the song, share John 3:16 with someone. ​"The gospel of Calvary – that‘s what the world needs to hear"
hat whoever believes in him should not perish but have eternal life."